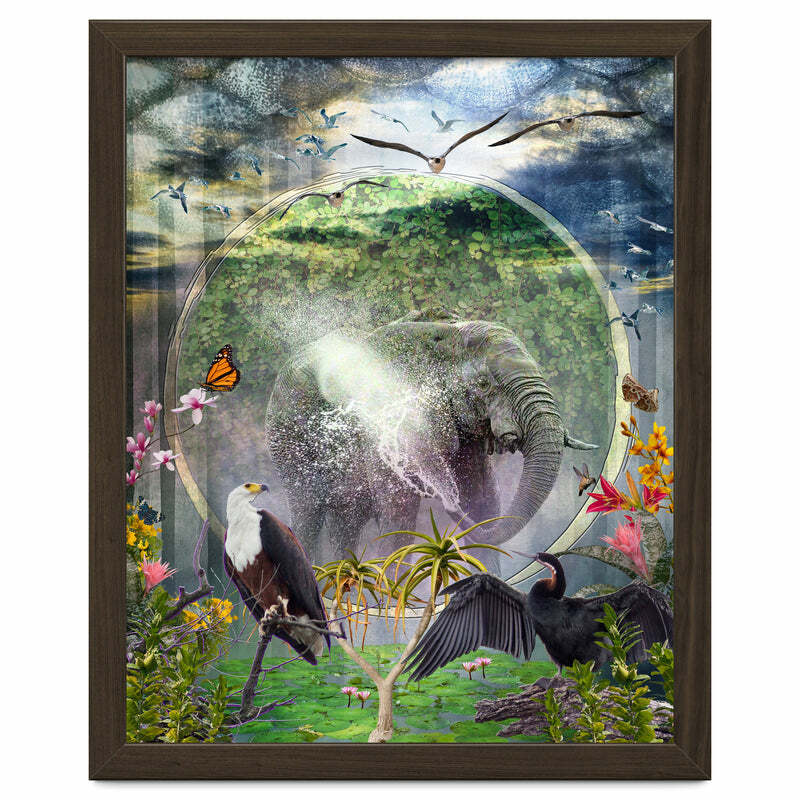 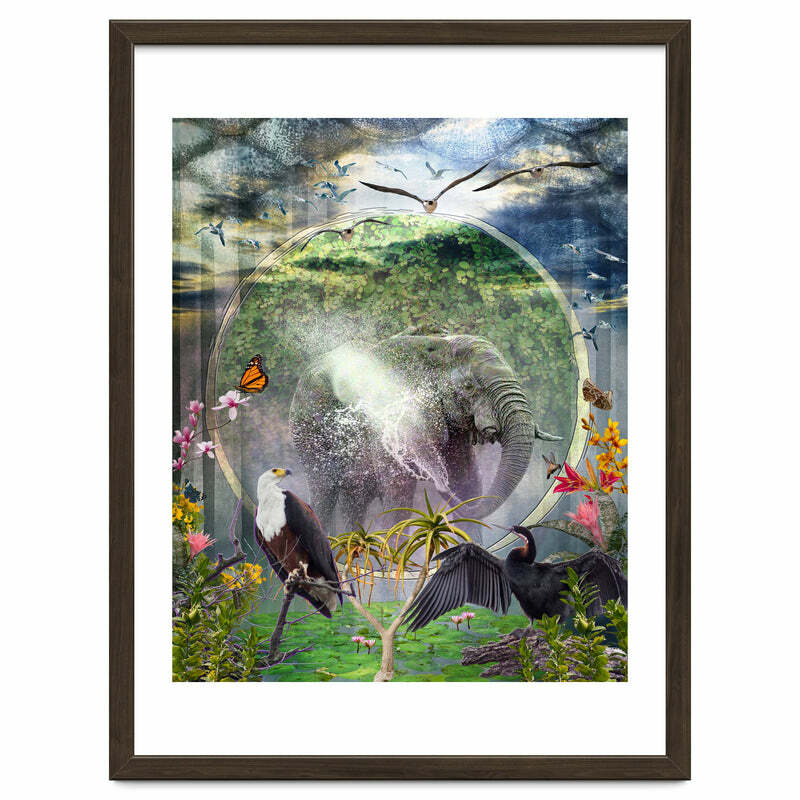 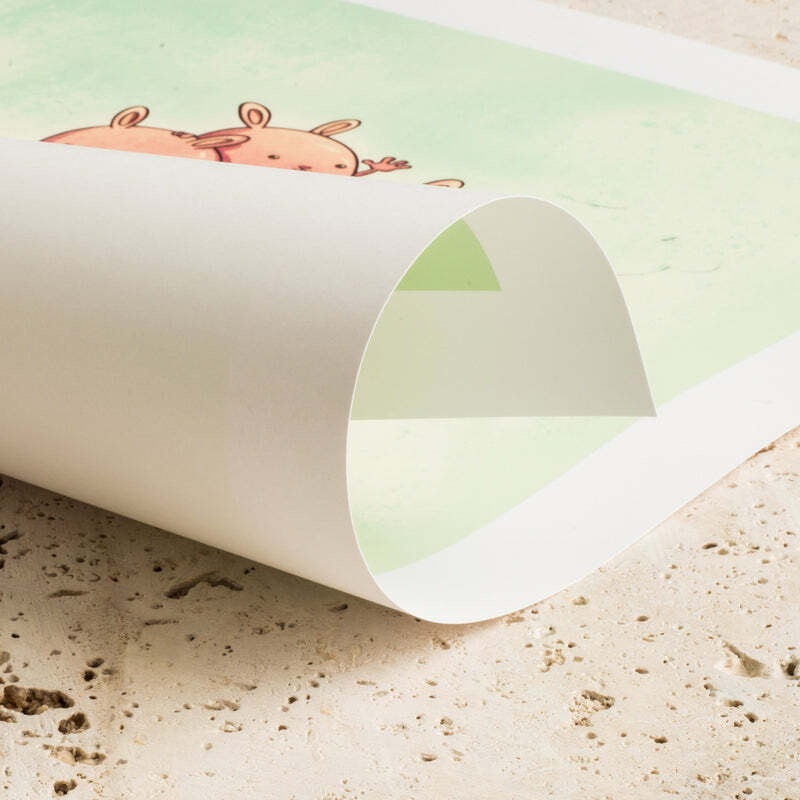 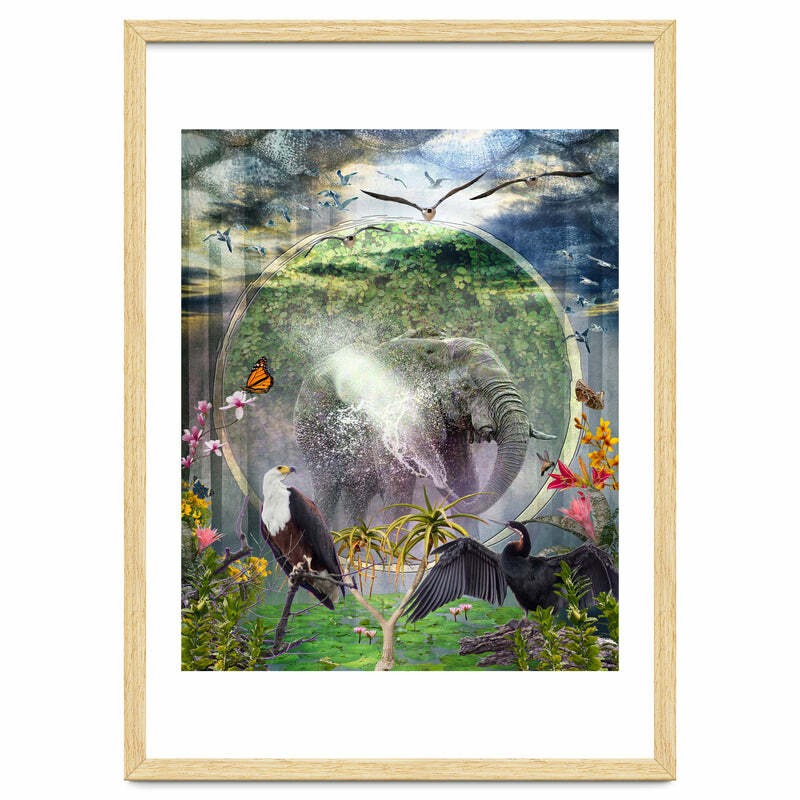 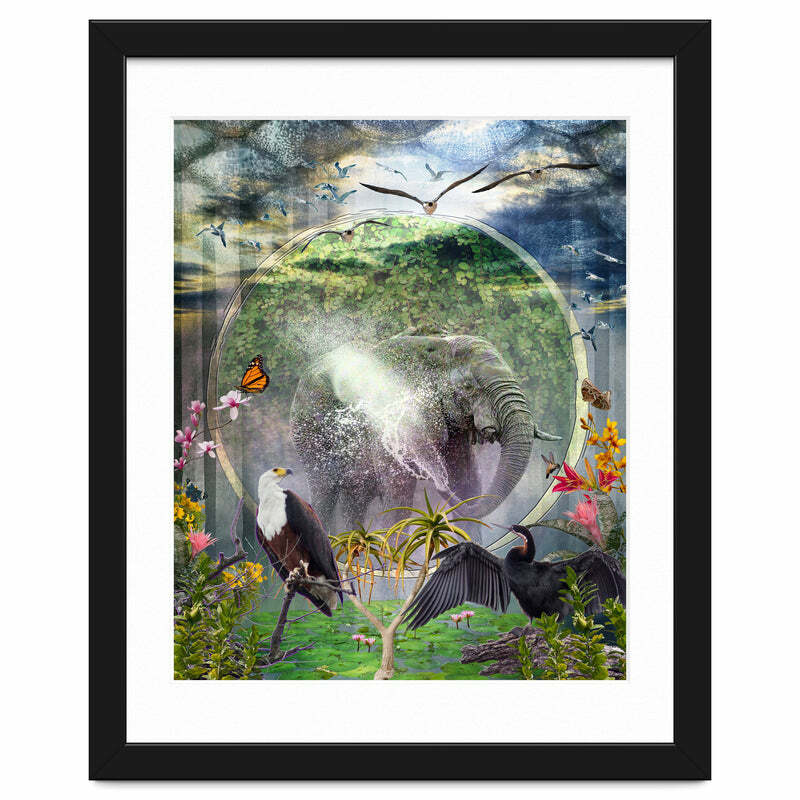 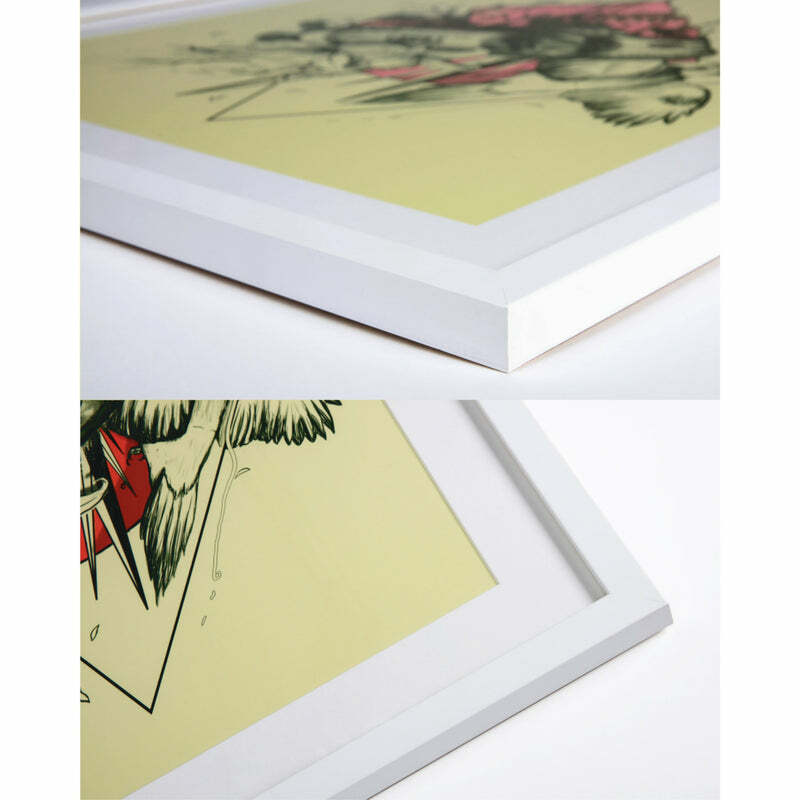 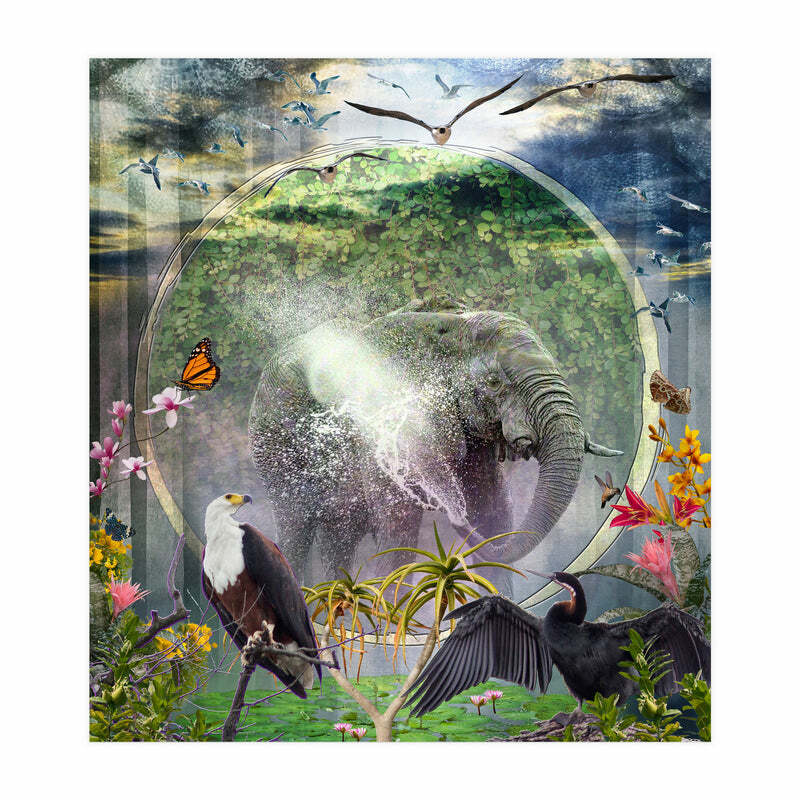 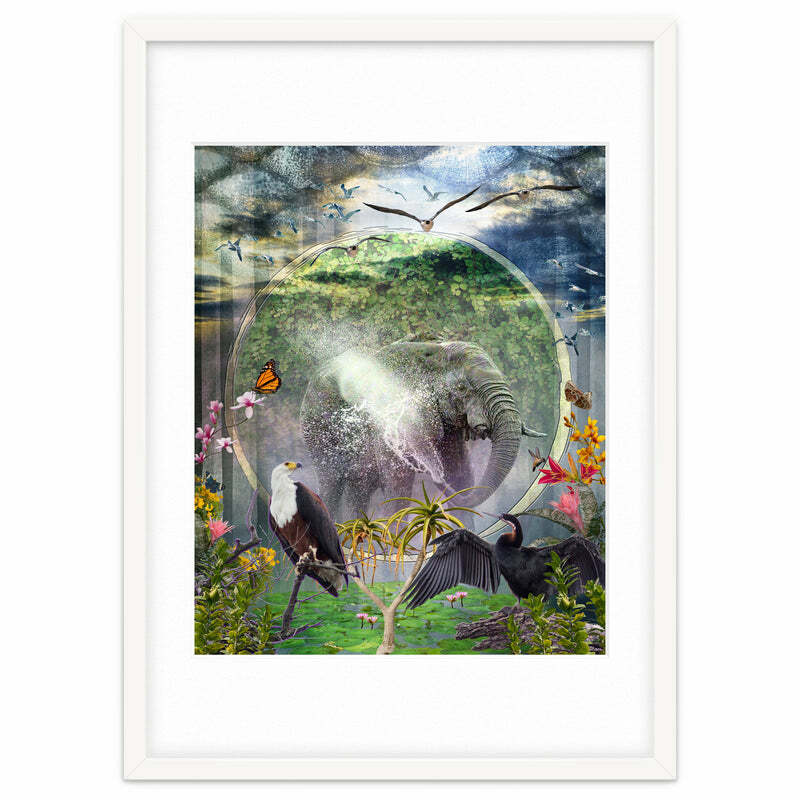 Jungle Retreat is a mildly abstracted photo collage of birds, animals, and flowers. Animals take so much abuse from humanity. Imagine a retreat, like a cross between a refuge and a spa, where all the creatures can go and relax and not fear man. 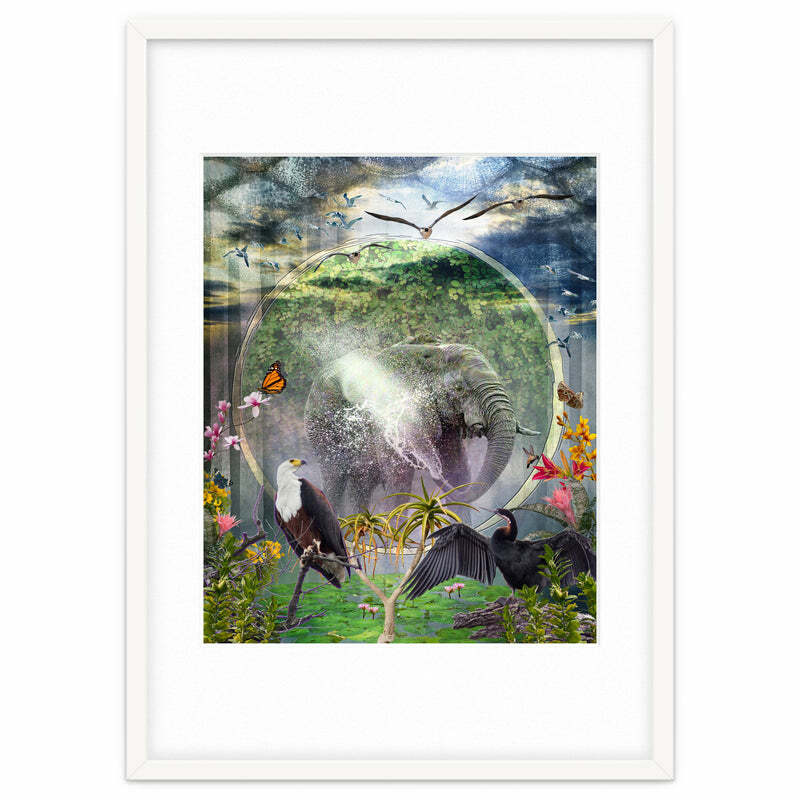 Beauty abounds and the birds can perch and fly and be birds. Perhaps imagine as well, that the eagle watching all this symbolizes a certain nation that should be doing more to protect wildlife, rather than less.